This Limited Edition timepiece pays tribute to the timeless “Grand Old Lady of the Skies”, the Douglas DC-3. 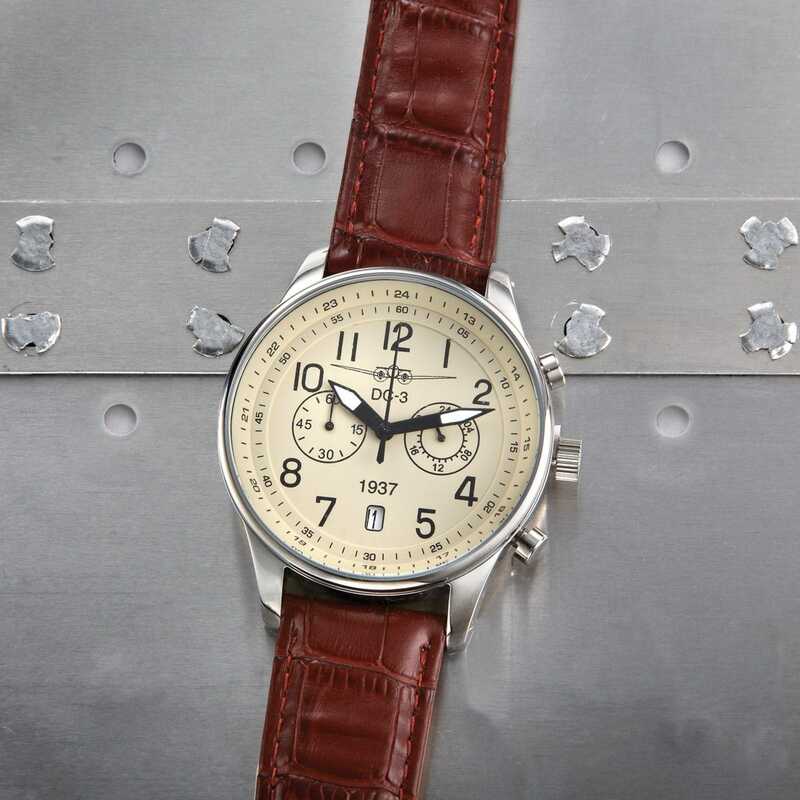 Inspired by classic details from the DC-3, this hand-crafted Chronograph features a front silhouette under the noon hour and the date 1937 placed right above the date window. Additional features include an adjustable genuine leather band, concentric 24-hour and 60 second bezels around the hour numbers work in sync with the 60-minute and four-hour sub dials, and precise quartz movement. The stainless steel crown features scratch and splash-resistant mineral crystal to protect the dial with the front silhouette of the DC-3 engraved on the back. Case measures 1.5" in dia. Includes a certificate of authenticity and arrives in an elegant gift box.